Our Hibiscus Rosehip Creme combines 100% organic hibiscus extract, rosehip oil, vitamins and antioxidants – ingredients proven not only to moisturize your skin but to heal it, lift it, exfoliate and improve the elasticity of your skin on a cellular level. This unique formula provides an intense hydration and lifting boost to your skin and is free from gluten, parabens and is vegan. Ingredients: Organic Aloe Leaf Juice, Organic Coconut Oil, Rosehip Seed Oil, Emulsifying Wax, Stearic Acid, Glycerin, Vitamin E, Sunflower Seed Oil, Phenoxyethanol, Organic Hibiscus Flower Extract, Provitamin A, Vitamin B3, Vitamin C Ester, Provitamin B5, Organic Neem Seed Oil, Organic Rosemary Leaf Extract, Organic Sunflower Seed Oil, Organic Alcohol, Propylene Glycol, Xanthan Gum, Tetrasodium Glutamate Diacetate. I am 55 years old and I really love this product as soon as I used it I feel like a 30 year old !!! I really recommend this product as the best natural anti aging formula. This is an amazing product and it really works, just a few days of using it and I can see a big difference on my face.. But the most important for me is how my it helped my psoriasis that I have been struggling for years!!! I’m from Ecuador and I fascinated with this product and all the benefits for my skin. Is really amazing and all the girls should used the hibiscus cream! I go this product at a show and I love it! This Hibiscus Rosehip formula is like the best of both worlds! 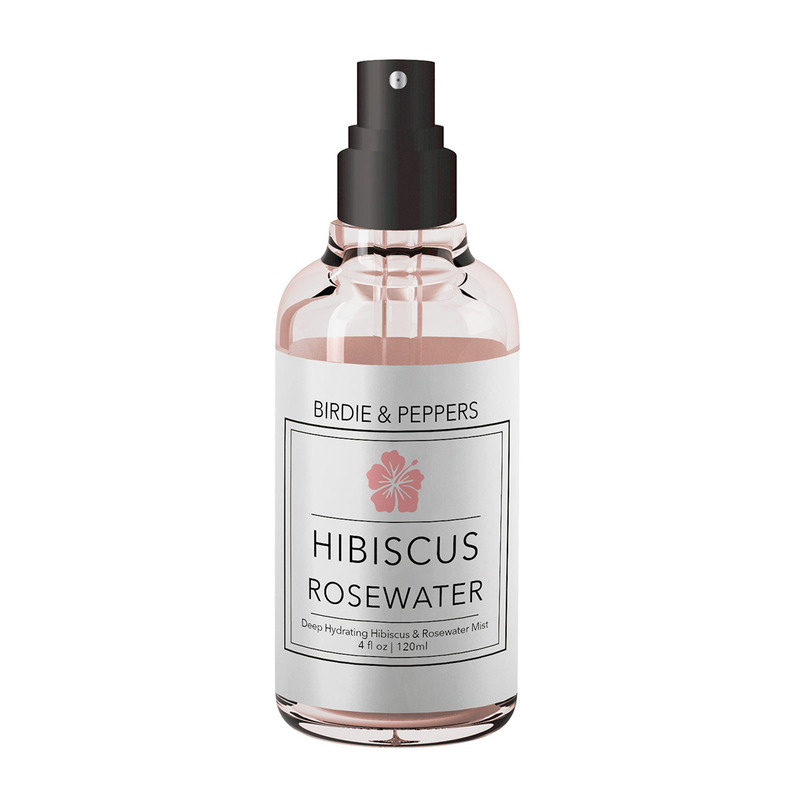 The rosehip oil keeps my dry skin hydrated and glowing, while the hibiscus extracts are super powerful and have completely handled the redness in my face. I think I had a bit of rosacea going on, but it’s all gone now. My skin completion is more even and I’m very happy!! I love this cream! I suffer from sensitive and dry skin. This is the first cream that actually hydrated my skin ALL DAY. I was shocked as I’ve struggled to find one that did that. It didn’t clog my pores either, and gave my skin a nice glow. Love it. Tag your photos with #birdieandpeppers on Instagram.